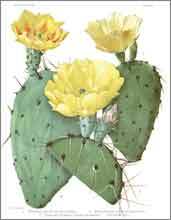 Sonoran Desert plants have been a compelling a subject for artists for centuries. 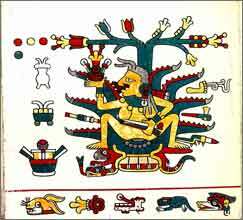 In Mesoamerican art the culturally significant agave (maguey) and the prickly pear (nopal) were depicted extensively in the pre- and post-colonial codices. 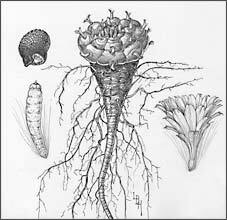 European plant collectors visiting the New World returned fascinating specimens to the gardens and greenhouses of Europe where artists were eager to record such unusual plants. 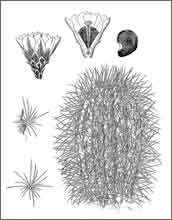 The succulent species, particularly agaves and cacti, traveled well and were among the first plants of the New World to benefit from this artistic enthusiasm. 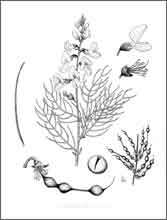 Some of the finest representations of these plants to this day were created for the great survey and railroad expeditions of the mid-19th century following the end of the Mexican-American War and the Treaty of Guadalupe Hidalgo (1846-1848) and the Gadsden Purchase (1854). Government-funded expeditions to survey newly acquired lands in the western territories produced the United States and Mexican Boundary Survey (1850-1855). Similar expeditions were made to survey potential railroad routes, and these surveys resulted in the five Pacific Railroad Surveys (1853-1855). None of these great expeditions were specifically scientific in nature, but happily they produced an enormous body of scientific information on the plants, animals, and geology of the West. The expedition reports were the most highly illustrated government reports of that time. 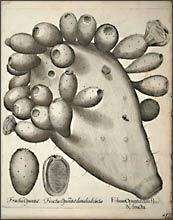 Many of the artists accompanying the expeditions were naturalists as well as experienced draftsmen, and the quality of the botanical illustrations was superb, due in large part to the work of notable artists such as Paulus Roetter, Heinrich Balduin Möllhausen, Isaac Sprague, John Mix Stanley, and Arthur Schott. 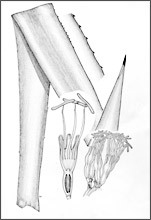 The technical and scientific detail as well as the artistic quality of the drawings became the standard for illustrating scientific reports and publications thereafter. N.L.Britton and J.L. Rose's The Cactaceae, published in the early part of the twentieth century, continued this tradition of superbly rendered cacti from the Sonoran Desert and those from Mexico and Central and South America. 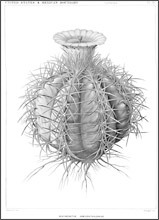 Britton and Rose had the talents of Mary Emily Eaton gracing their work, which has become a classic text in the study of cacti. In the 1950s, Lucretia Hamilton created finely detailed drawings of plants of the desert southwest in Weeds of Arizona and Grasses of the Southwestern United States. 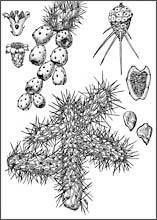 Her many drawings of cacti show the continuation of the high standards for illustration set forth in the great survey expedition drawings. 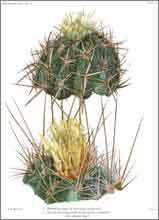 In 1982, another publication, Howard Scott Gentry's Agaves of Continental North America, introduced many agaves from the Sonoran Desert and Mexico with illustrations by three highly skilled artists: Lucretia Hamilton, Regina Hughes, and Wendy Hodgson. 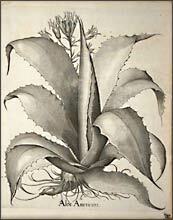 The artistic and scientific contributions of the book have made it the definitive text for the study of agaves. Currently, a number of Arizona artists are collaborating with botanists to create valuable collections of expertly rendered illustrations of plants of the Sonoran Desert Region for several new flora projects. 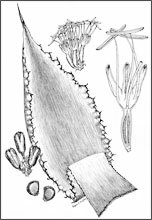 Artists are contributing illustrations of cacti for Intermountain Flora and Arizona Cactaceae and drawings for Legumes of Arizona, An Illustrated Flora , the New World Ephedra Project, and Mustards of Sonora.